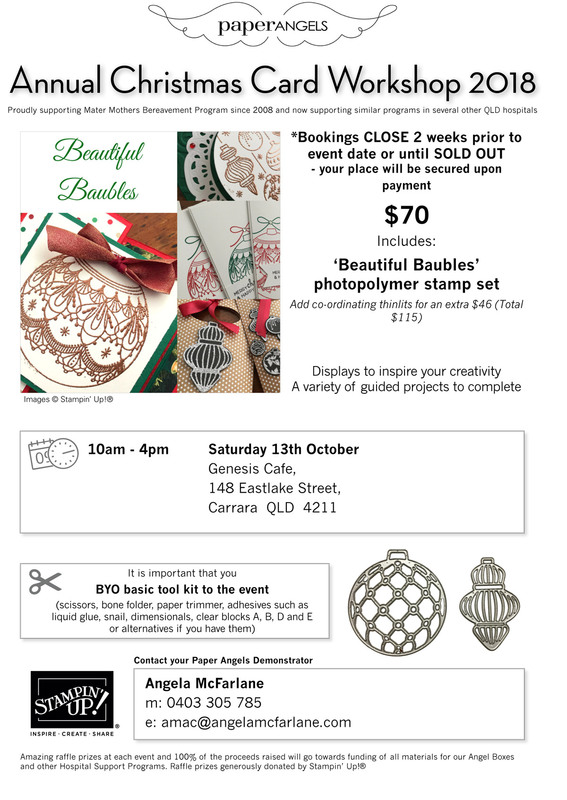 Would you like to spend a day crafting and fund raising for a great cause? Come and get inky with us! The day is packed full of fun! You will be guided through a variety of beautiful Christmas projects and lunch is included!!! You also get a beautiful stamp set to keep! There’s heaps of amazing raffle prizes to be won. Be quick, places fill fast. Please contact me to save your place. RSVP by 29th September. Check this post for all the details. Hope to see you there!